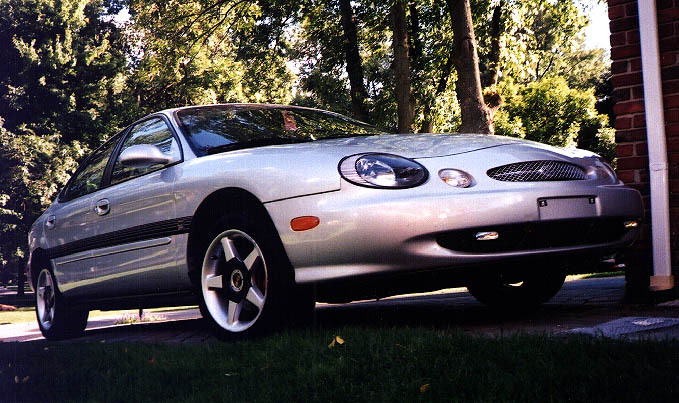 My old car was a 1999 Taurus SE with the 24 Valve 3.0 Duratec V6. Come look at my Very Old Detroit Rice Page!!! Last updated 9/1/02. 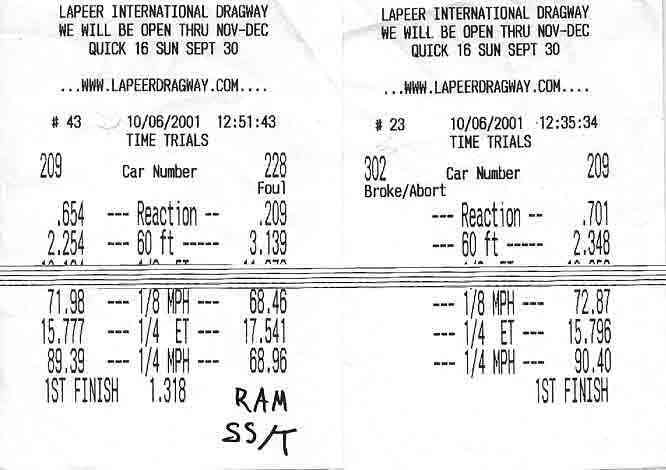 I ran my car at Lapeer dragway on 10/6/01 and ran a best ET of 15.77@89.39 mph and a best MPH of 15.79@90.40 mph. I'm leaving this up here as proof. I donated the Taurus in March 2008. It had roughly 105,000 miles on it. It had gone through 2 Power Steering Pumps, 4 sets of tires, 2 ECU's, 2 A/C Compressors, and 2 Alternators. It still ran when I donated it.